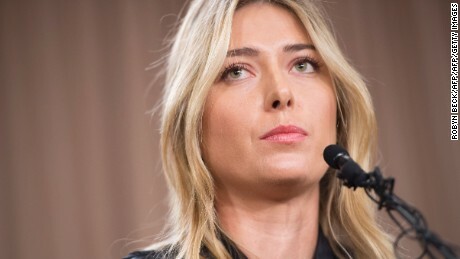 (CNN) Maria Sharapova always knew her drugs ban would not be the way her tennis career would end. The five-time grand slam champion will return to the sport in April 2017 after serving a 15-month suspension for testing positive for the banned substance meldonium at the Australian Open in January. “I knew this was never the way I going to finish my career and I was going to do it on my terms… I never doubted that,” Sharapova told CNN. The 29-year-old Russian added: “I know who I am and I know how I’ve played the sport since I was a young girl, with integrity, I’ve never taken the easy way out, I’m one of the biggest fighters in the game. Sharapova said she was first prescribed the drug, also known as mildronate, in 2006 for heart issues and was unaware it had been added to the banned substance list by the World Anti-Doping Agency (WADA) as of January 1. An independent panel appointed by the ITF ruled Sharapova hadn’t used meldonium as a vehicle for cheating but stated the former world No. 1 was “the sole author of her misfortune” and handed out the two-year ban. “In this case there is absolutely no evidence that meldonium, which is the substance Maria took, is actually a performance enhancer as highlighted by the fact there was no clinical testing performed by Wada which is weird, to say the least,” Sweden’s Eliasch told CNN. Eliasch suggested Sharapova’s treatment could be part of an anti-Russian reaction. “I would also like to add apparently the substance was banned because of the prevalence of meldonium use by eastern European athletes. Maybe this has a bit of an element of Russia bashing. I don’t think politics and sport should be mixed up,” he said. WADA is yet to respond to CNN’s request for comment on Eliasch’s allegation. Sharapova was valued as the world’s richest female athlete for 11 straight years until she was unseated by Serena Williams this year.